Cape Town seeks to relinquish its dependence on electricity supply from Eskom. 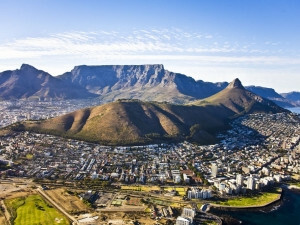 The City of Cape Town is looking to move away from merely being an energy distributor, as it wants to pursue power generation, especially renewables. This is according to mayor Patricia de Lille, speaking at the launch of the city's Organisational Development and Transformation Plan (ODTP) yesterday. De Lille's announcement comes as Eskom and the renewables community are embroiled in a bitter dispute about the cost of renewables to meet the country's energy demand. Coal is SA's dominant energy source, with 77% of the country's energy needs being provided by this mineral. According to De Lille, one of the functions of the ODTP is to ensure the establishment of an energy directorate. The city describes the ODTP as a strategic move to reverse the legacy of apartheid spatial planning, modernise government, aggressively enhance service delivery, and become more customer-centric. The mayor says to make Cape Town's energy secure and give residents greater choice about what kind of energy they use and how much they pay for it, the city is looking to renewables to generate its own energy. "This will also help us reach our target of sourcing at least 20% of our energy needs from renewable sources," says De Lille. Independent energy analyst Andrew Kenny says although it would be a good idea for Cape Town to generate its own electricity more cheaply than Eskom, he doubts the city can achieve this. He says: "Despite problems in the last 10 years or so, Eskom has provided Cape Town with cheap and reliable electricity. However, I'd welcome any competition with Eskom on generation ? provided it was not subsidised." Meanwhile, the power utility has taken a strong stance against municipalities that have defaulted on their Eskom accounts. According to reports, municipalities owe Eskom as much as R10.2 billion, which has increased in the past eight months from R6 billion. 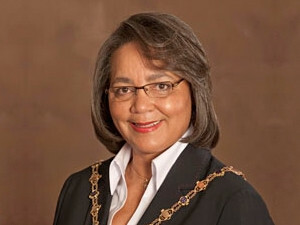 Cape Town mayor Patricia de Lille says the city wants to generate its own energy. To this effect, Eskom issued the defaulting municipalities with supply agreement breach notices, which were to be followed up by disconnection notices. Eskom also informed communities within the affected municipalities that there will be disconnections. The municipalities that Eskom has threatened to disconnect are in the Free State, North West, Mpumalanga and Northern Cape. Minister of cooperative governance and traditional affairs (COGTA), Des van Rooyen, says municipalities must always service their bulk accounts to avoid inconveniencing residents who pay for services. "It is important for municipalities across the country to always service their bulk accounts so that they do not prejudice those community members within their space who pay for their services," says Van Rooyen. According to COGTA, despite a number of interventions being put in place to curb the high debt levels, some municipalities are continuing to default from the COGTA-brokered agreement with Eskom. Van Rooyen said the ministry is confident provincial governments and municipalities will ensure the agreement is respected and all actions agreed upon are finalised. "We urge municipalities to pay for the services they have received. It is the right thing to do."